Latchi Watersports Centre Team | Latchi Harbour, Cyprus. 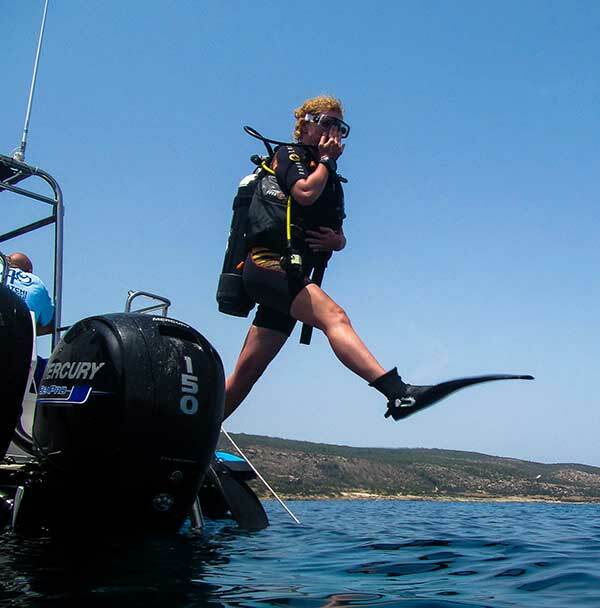 Did you know that they are experts in; Boat Hire, Watersports, Yacht Charters and Diving. A highly qualified and motivated team that consistently deliver on customer service and expertise. Oh, and they’re friendly too! Here is the Latchi Watersports Team for 2019. And, we’re sure you’ll agree, they’re a beautiful bunch of people. I’m what some might call ‘the big dog’. 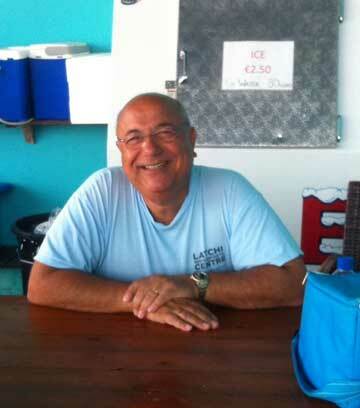 I’m one of the owners of Latchi Watersports and have spent many years making sure the company is the biggest and best watersports, diving and boat hire centre in Cyprus. My priority is making sure your experience with us is nothing other than amazing! 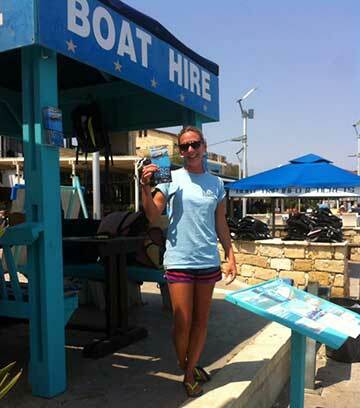 I’m the friendly face you’ll meet if you come to our beach watersports office! 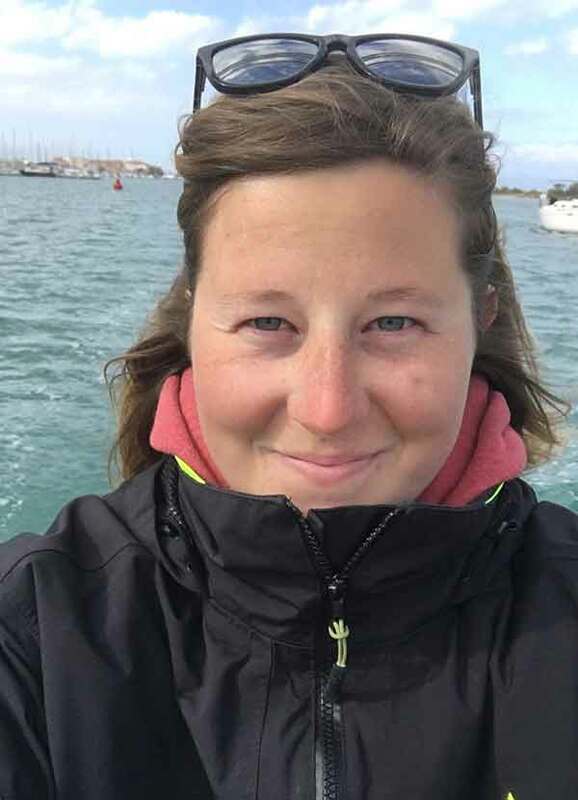 I’m one of the managers here at Latchi Watersports and have been with the company for years, overseeing all watersports activities and fun on the water! Beach life! 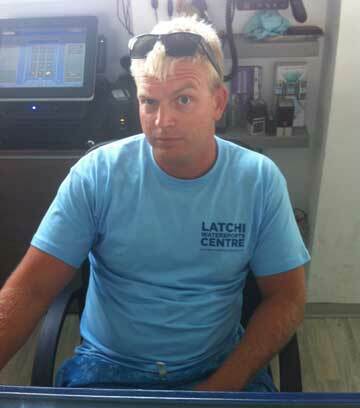 I am the Dive Operations Manager at Latchi Watersports and this will be my third year with the company. 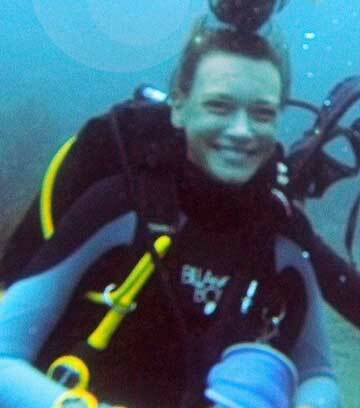 I’m an experienced PADI Course Director/instructor trainer and oversee our experienced dive team. Previous to this I spent 10 years working in Southeast Asia. I’m all about diving, diving and more diving! I’m the friendly face running the office. I’m a long term member of the Latchi Watersports family and am the face of the company thanks to my beautiful smile and professional attitude. On my days off you’ll find me topping up my tan in the Akamas National Park. After founding the company in 1978 with just a couple of small boats and canoes, I decided to take a back seat in 2010. I couldn’t quite cut all ties, so you’ll still find me at the centre doing briefings and boat trips. I’m also one of the commercial captains. I’m very proud of the professional organisation that Latchi Watersports has grown into. I’m one of the longest serving Latchi Watersports employees. I’m experienced in all aspects of the business and one of the captains for our luxury charter yachts. I’m also an instructor for the powerboat courses. I’ve been in Cyprus for over 15 years and live here with my wife and gorgeous baby daughter. I am a very proud family man, I have worked at Latchi Watersports for 6 years now and I’ve loved every season, its such good fun and everybody gets on so well. I am so jolly that at our summer Christmas party, it’s me who dons the Santa outfit. You’ll find me either under the umbrella chatting to everyone or giving coastal briefings on the deck. 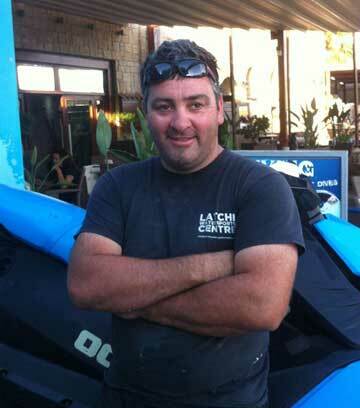 I am the chief mechanic at Latchi Watersports. Originally from York, if I am not complaining about something, I am drinking Yorkshire tea – the true cup! I am here for any of your engine’s needs. Diver, boat driver, mechanic and sailor in that order! I also make a mean curry. As long as it involves getting wet or fed I’m in……. 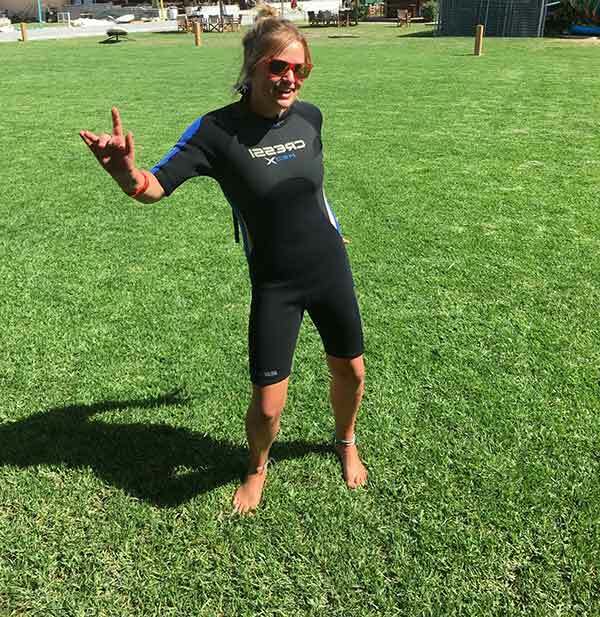 After having spent several years working in Asia and bobbing around the Caribbean, I decided to further my career and stumbled across Latchi Watersports. 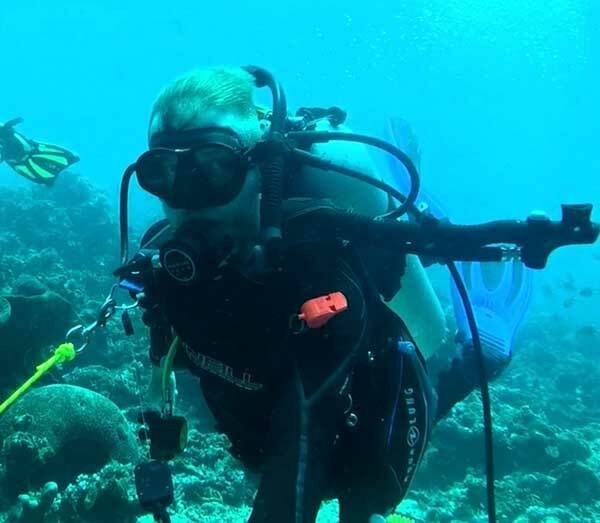 After becoming a PADI IDC Staff Instructor last season, I’m looking to gain experience in other aspects of the business, so this year you’ll find me in the main office. 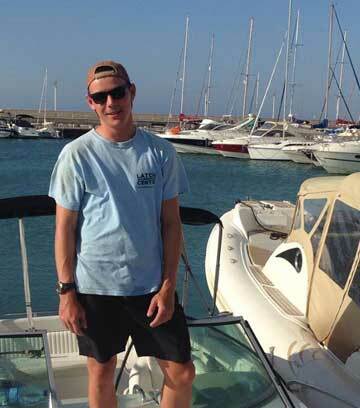 Joey Carlsberg Cheeseman – I work in the harbour, doing boat briefings, guided trips and most things boat related. My favourite job is keeping the boats and myself hydrated. I started working for Latchi Watersports back in 2011. 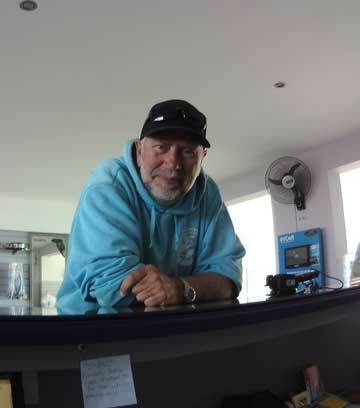 I am a commercial licenced skipper, parasailing captain and the expert fisherman with over 20 yrs experience. I am multi-lingual, speaking Bulgarian, English, Greek and Russian. Now you can see why they call me Oddjob. 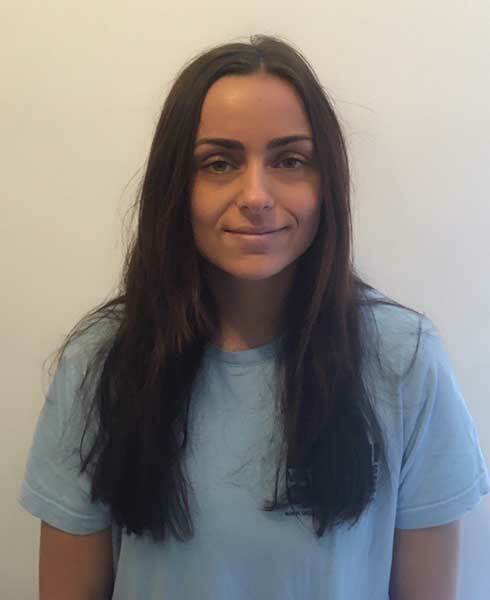 I started at Latchi Watersports as an intern in 2016 and within two months I was promoted to a fully-fledged member of the team. 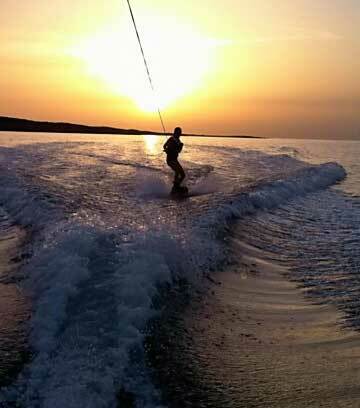 I’m now one of our experienced Waterski/Wakeboard instructors and you’ll find me at our beach watersports centre. I’m the ninja of the company! 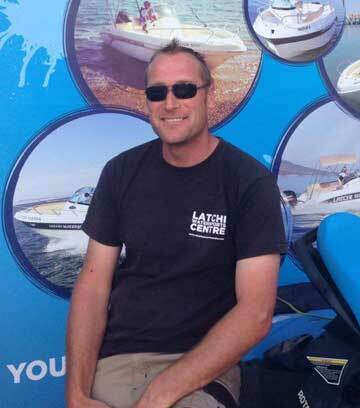 I’ve been with Latchi Watersports for years and am highly experienced in all things on the water. I hold a commercial captains licence and speak many different languages. I’ve lived in Cyprus for a long time! I’m a man of many talents and have been working with the Watersports for 5 years. 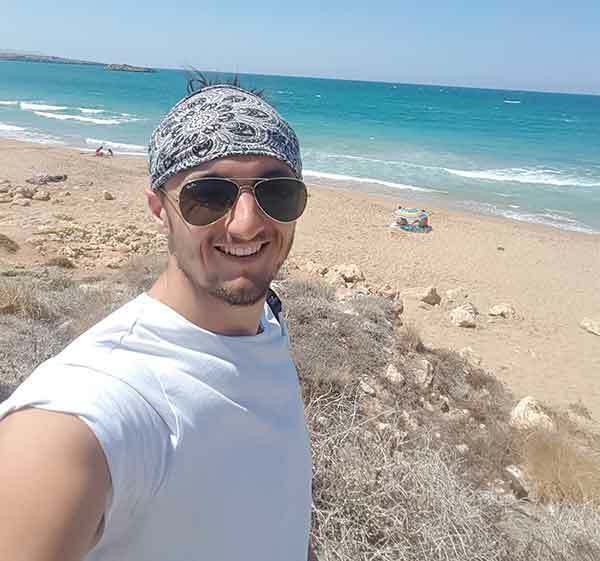 I’m one of the company commercial captains and you’ll often find me doing boat trips along the beautiful Akamas National Park. I also love to party and have fun. I used to work on the cruise ships and was asked if I wanted to complete my Open Water diving course in St. Croix. From my first dive with Eagle rays and Nursing sharks, it was just……wow. So 4 years ago I decided I wanted to become an instructor and have never looked back! I’m now a PADI IDC Staff Instructor and a sailing instructor. This is my third year with Latchi Watersports. 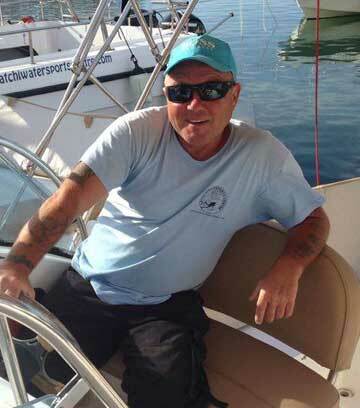 I’m the Chief RYA sailing instructor at the beach and also help to oversee all watersports operations. I’m also a passionate diver, windsurfer and underwater photographer. After working for several years in South America as a dive instructor, I decided to move closer to home. I joined the diving team at Latchi in 2017 and am now a PADI IDC Staff Instructor. I also have a passion for underwater photography. I run our new Polis shop looking after all the marine services admin and boat sales for the company. I also travel around the island looking after marketing relations with different Cyprus resorts and agents. I’ve lived in Cyprus for 4 years and this is my second year with Latchi Watersports. I have been passionate about water ever since I was little. As long as I’m around it or in it, I’m happy. 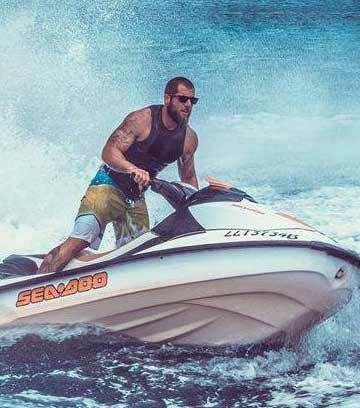 I’m joining Latchi Watersports as a watersports and powerboat instructor. I’ll also be taking my PADI diving instructor exam in June! 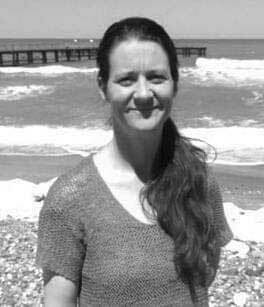 I served in the British Army for 26 years and have followed my passion for underwater swimming all round the world. 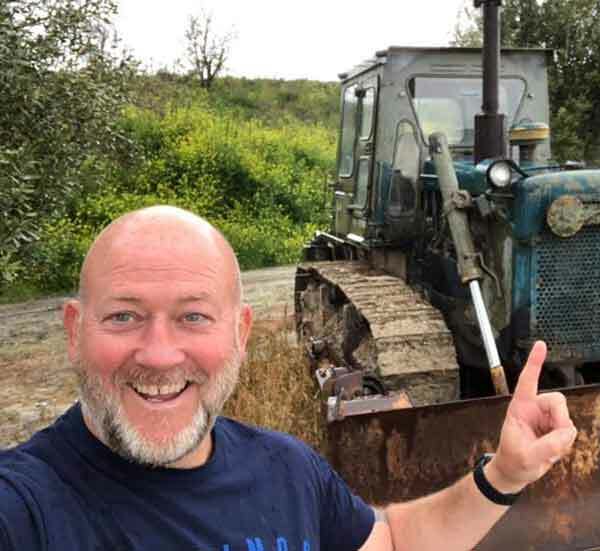 After spending years coming to Latchi on holiday to dive with the LWC team, I decided to skip the rat race and make the move permanently to live the dream. I look forward to meeting new people, new experiences and new beginnings. I’ve always had a passion for the sea. 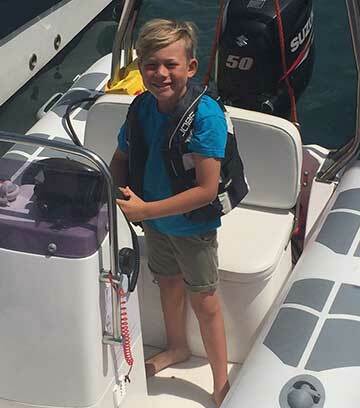 I’ve been working on yachts from a young age and small pleasure boats for water skiing and wake surfing and surfing. I am itching to get back into the swing of things and become part of a team again. This is my second year with Latchi Watersports. I’m involved with all aspects of the company, but you’ll mainly find me assisting with the boat rentals. In my spare time I’m also a script writer and fitness guru. I started last year as a watersports intern and was very quickly promoted to a permanent member of staff. 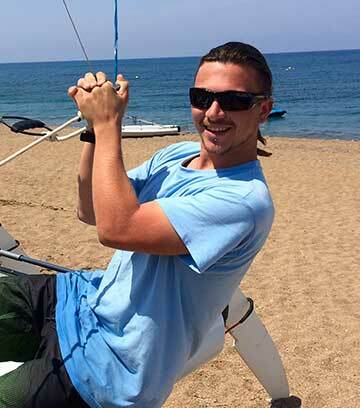 I mainly work at the beach as a watersports assistant, but I’m also involved with boat rentals and customer service. I’m experienced in many different areas of the business and have worked in the watersports/outdoor industry for several years. 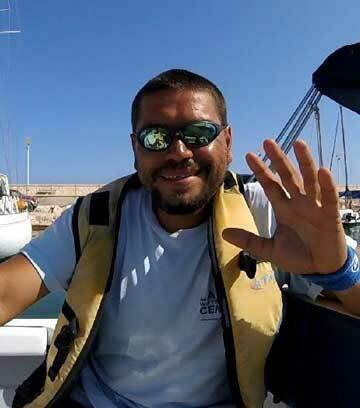 I’m an RYA sailing instructor and assist with all watersports and boat rentals. 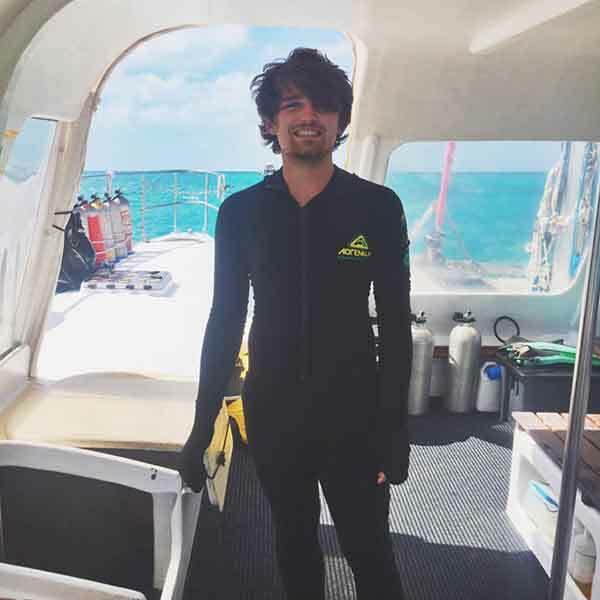 I also completed my Dive Master internship with Latchi Watersports last year. Without a doubt the best boat handling skills in the company, and I’m only eight, good at carrying stuff and spraying random people with the hose, and I’m always up for an ice cream too. Special guest appearance for the 2019 season! For the second year in a row, we welcome back this well-known celebrity to our team. You may recognise John from such famous TV shows as Coronation Street, Peaky Blinders, plus several feature films. However he claims his part in Latchi Watersports is the best role he’s ever played! I’m a bubbly smiley girl with an enthusiasm for anything to do with the water. 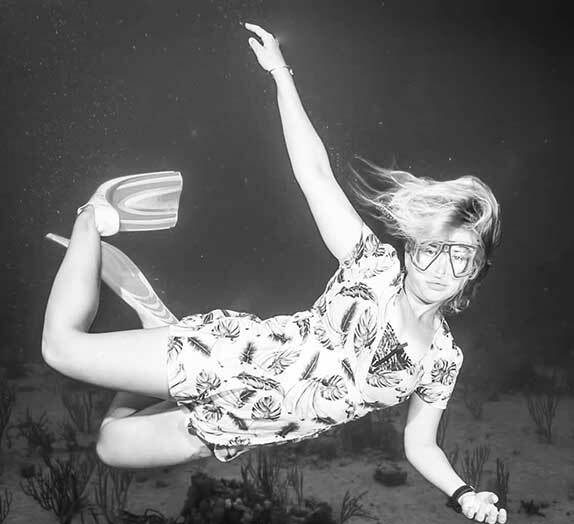 One of my biggest passions is diving. 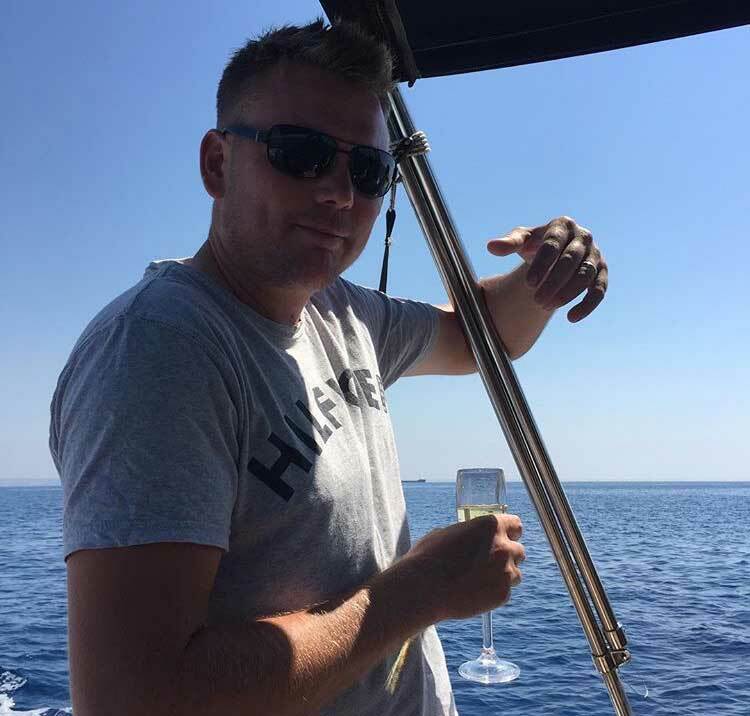 I’m joining the team to help in all aspects of the business, including sales, powerboats and diving. 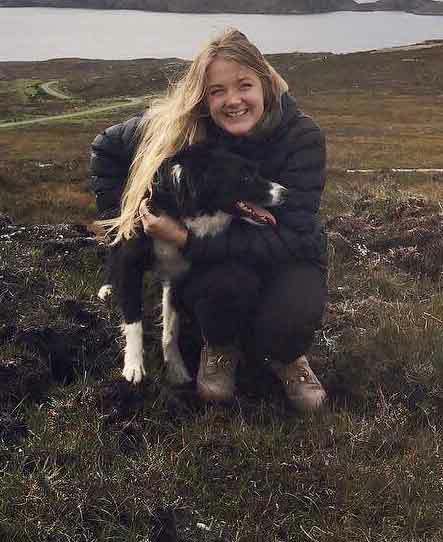 I’ve been studying in Edinburgh but am originally from the highlands of Scotland. A lot of my family are fishermen so being on boats and out at sea played a big role in my upbringing. 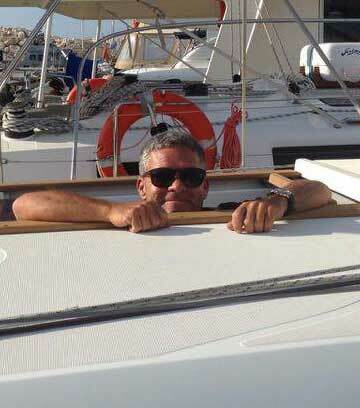 I’ve sailed from an early age and I can’t wait to join the Latchi team and be back beside the sea again! I’ve been studying history in the UK for the past three years but I’m looking forward to joining the team and having a fantastic summer in Latchi. I enjoy playing football once a week and go to the gym three or four times a week. I’ve learnt much about the importance of teamwork and look forward to learning more about watersports and boating this season. They call me Benny Blue! I completed my Dive Master internship last year with Latchi Watersports and have just finished my instructor course in Thailand this winter. I’m happiest when I’m underwater, I could stay there all day! Looking forward to being back in Latchi this year, the season should be a blast! I am a positive, fun loving, dedicated team player. I pride myself on being versatile to different working environments and enjoy working with the public. 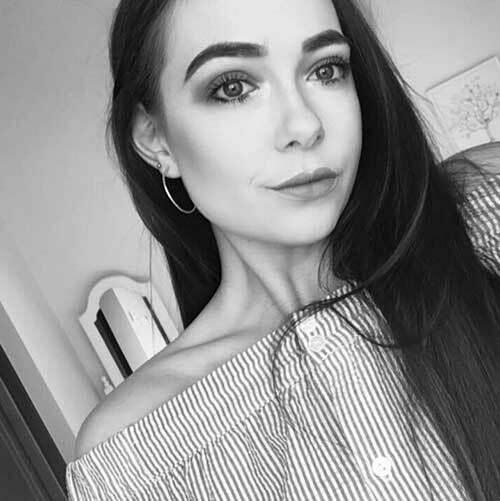 I’m joining the team as an intern so I can get involved in with every Latchi Watersports department and have an amazing summer! I’m one of the powerboat / watersports interns for the 2019 season. I have experience in diving, sailing and competitive lifesaving. I’m a motivated and fun person to be around and can’t wait to be part of the Latchi Watersports team. I’m a new intern working my first season for Latchi Watersports. 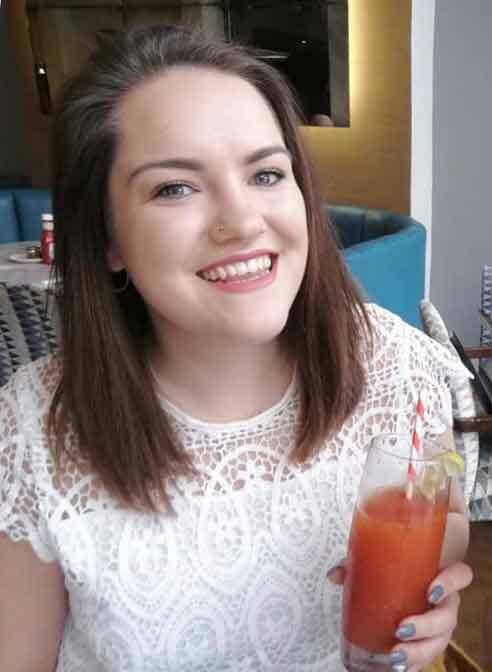 I’m a bubbly, friendly character with a good line in banter and a massive lover of the sea, sun and fun! Ready to learn and develop skills with Latchi Watersports! I’m new to the team this season as an intern. I’m a keen cricketer and football fan. 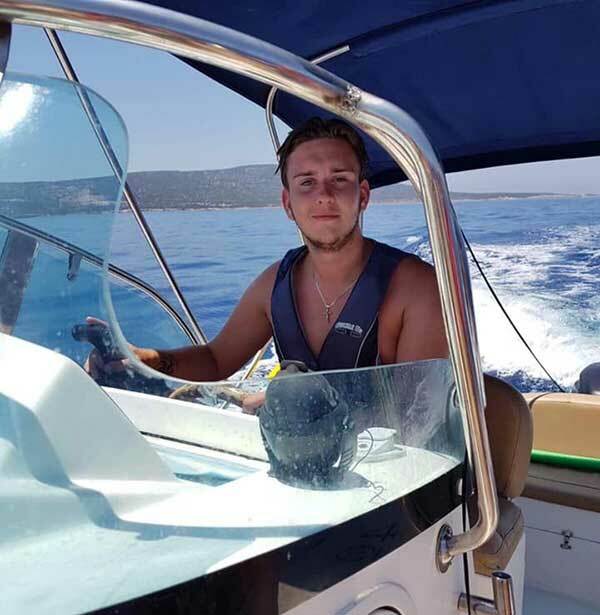 Long term I’m looking to join the army but, having holidayed in Latchi for the last 4 years, I thought I’d gain some experience in Cyprus with the Latchi Watersports team. 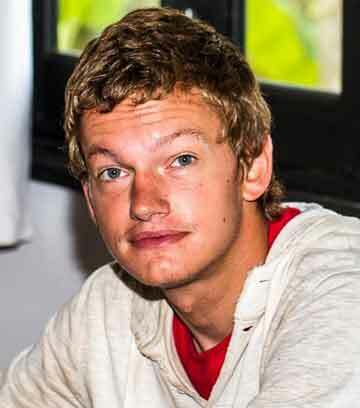 I’m on my gap year and will be joining the team as intern to learn all about the boating and watersports world. 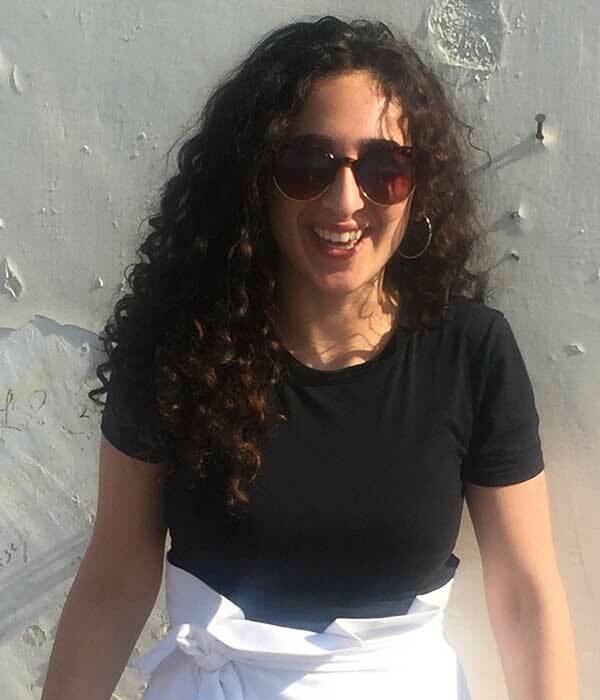 I have Palestinian and Cypriot heritage and am looking forward to getting back to my Mediterranean roots! I’ve lived in Cyprus for 10 years. I’m easy going and love the sea, family and BBQ’s!! I applied to Latchi Watersports to work as an intern this year to learn more about the watersports and boating world! Diving is my number one passion. My goal in life is to dive in as many countries as possible and Cyprus is my top choice to start. 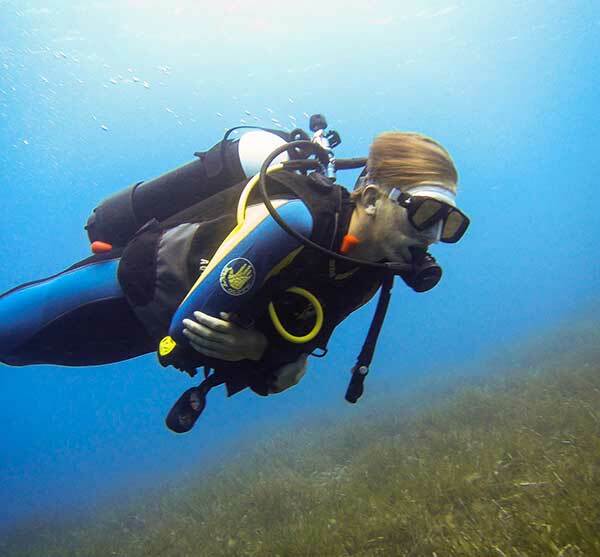 I’m already an advanced diver and have dived in the Maldives, Bali, and Komodo. I can’t wait to join the Latchi Watersports team as a Dive Master intern. I’m joining Latchi Watersports as a 2019 Dive Master intern. 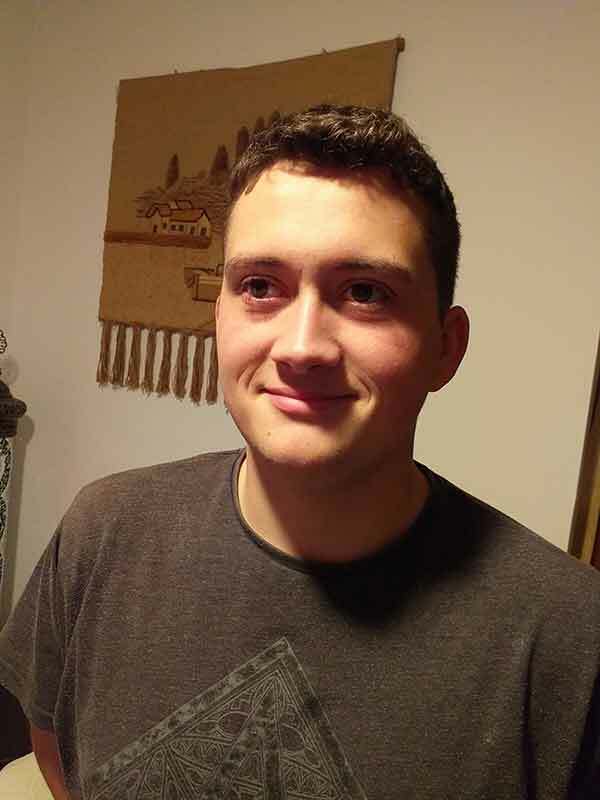 I come from Worcester and am currently studying Wildlife Ecology & Conservation Science at Bristol UWE. I enjoy playing rugby and travelling to new places. I’m looking forward to working in the sun, meeting new people and learning new things!! I’m 20 years old and from Latvia. 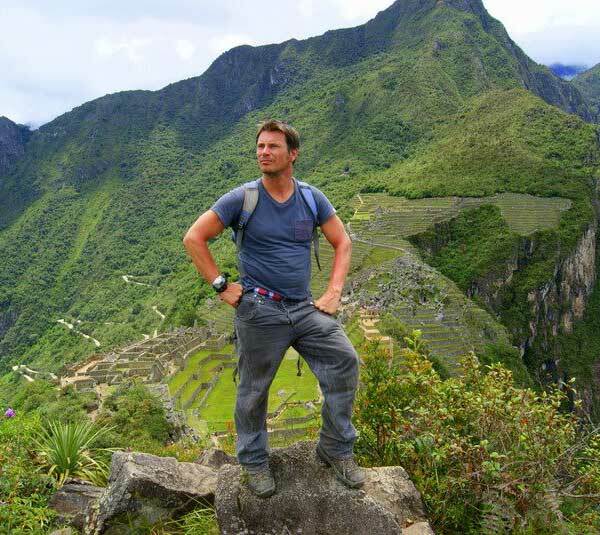 I’m very adventurous and always on a search for new experiences. I’m passionate about travelling, photography and the sea and have just completed my Open Water course in Vietnam. I’m super excited for the upcoming season and can’t wait to meet everyone! 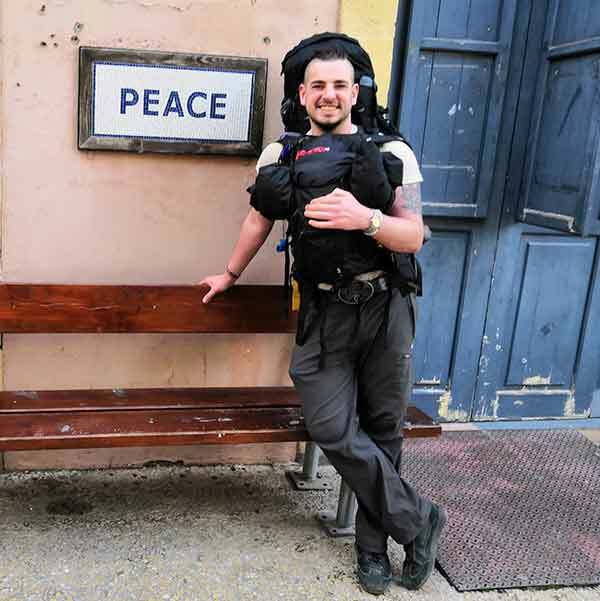 After one week travelling in Georgia in November 2018, I decided to quit my job and started travelling. I came to Cyprus in February and have not looked back. 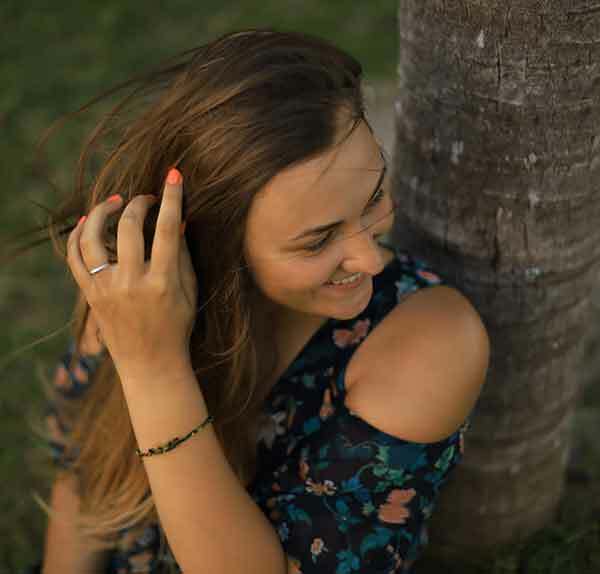 I play the piano, love hiking and adore the sea. 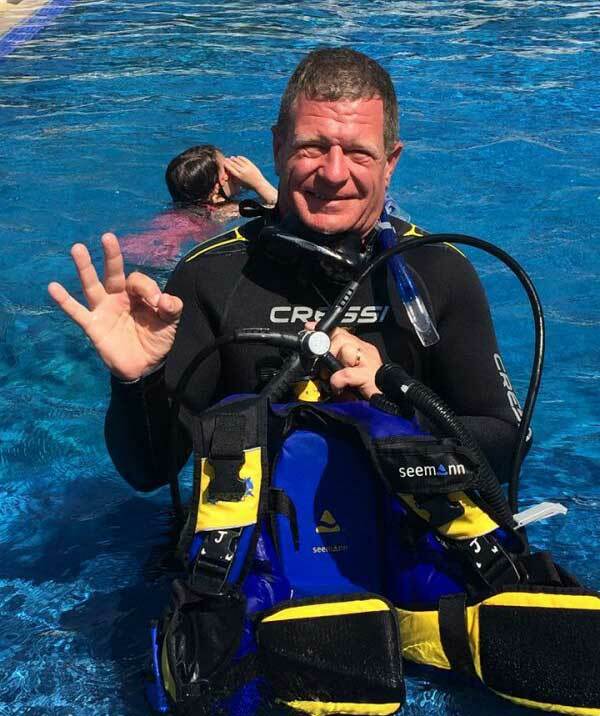 2019 Dive Master internship – I’m ready for you! Founded in 1978, Latchi Watersports started life as a small operation with a couple of windsurfers and a small speedboat, but over the years it has grown to become the largest and one of the best Watersports and dive centres in Cyprus. Latchi is located on the Akamas Peninsular on the north-west coast of Cyprus. It’s just a short boat ride away from the Akamas National Park and its stunning coastline, which is the best in Cyprus. Our main centre of operation is located in the picturesque fishing harbour in Latchi, with two further beachfront operations located at La Plage and Anassa Beach. We have a great team of professionals here at Latchi Watersports. Throughout the season the team is at least 20 people, increasing to almost 30 during July and August. Our fleet of 30+ Rental Powerboats, Sailing and Motor Yachts and our PADI 5 Star Instructor Development Centre is located in Latchi, while our beachfront operations are more watersports orientated with three ski boats operating between the two sites and a whole spectrum of activities available ranging from ski boats to jet ski hire to banana & tube rides. Our main emphasis is on safety and our highly trained and professional Latchi Watersports team will look after your every need to ensure your time on the water with us is the highlight of your holiday.